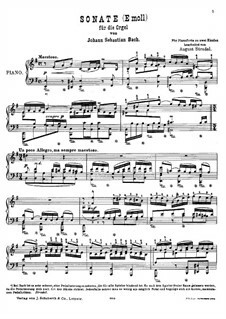 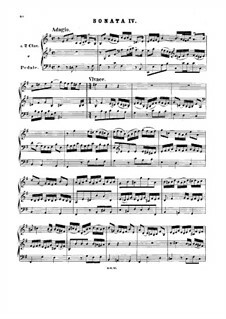 Complete score and part of the "Violin Sonata No.4 in E minor BWV 528" for Violin and Harpsichord or Piano. 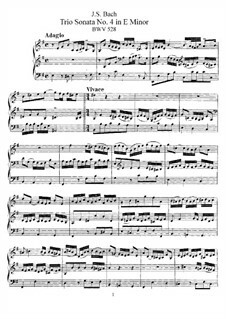 Transcribed by Santino Cara from "Six Organ Sonatas BWV 525/30" by Johann Sebastian Bach. 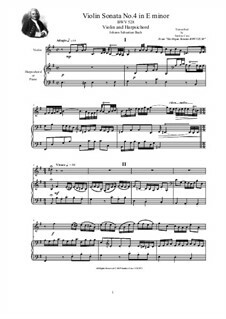 Version for piano Arranged by Stradal A. 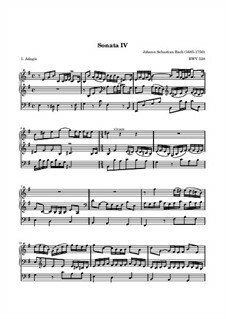 Version for violin and harpsichord (or piano) Arranged by Cara S.